Here are three winter/holiday themed items to use in your very own Cinder Claws adventures - the black wreath, enchanted mistletoe, and ice piercers. Black Wreath: Init +3; Atk tongue +5 melee (entrap); AC 9; HD 3d6; MV 0’; Act 1d20; SP strength drain, “death” throes; SV Fort +5, Ref -5, Will +12; AL C.
The black wreath appears as any other decorated Yuletide wreath, save none can remember placing it, and those succeeding in a Luck check feel vaguely uneasy about it. Those red berries? They are actually all eyes. The black wreath is an extension of an interdimensional creature, an organ both for sensing what is nearby in our dimension, and for feeding on it. The black wreath can extrude a sticky green “tongue” through the hollow center of the wreath (this tongue actually comes from the creature’s own dimension) to a distance of 15’. Any creature struck by the tongue is held fast. A creature can attempt a DC 10 Strength check to avoid being pulled 10’ closer to the wreath, or a DC 15 Strength check to break free, but each attempt uses an Action Die. A Mighty Deed with a value of 5+ can also force the creature to release its victim. Any creature brought within 5’ of the wreath while attached to the tongue takes 1d3 temporary Strength damage per round. If brought within contact with the wreath, this damage increases to 1d5 temporary Strength damage per round. The victim becomes darker as this damage is taken, as though cast into deep shadow; normal color returns only as the damage is healed. A victim reduced to 0 Strength becomes a blackened cinder as its life force is sucked away. Should the victim somehow survive (due to a Recover the body check and a kind-hearted judge), half the Strength damage taken is permanent, and the character remains forever the color of burnt umber. If the black wreath is reduced to 0 hp, it is not slain, but withdraws completely to its own dimension. Any entrapped victim gains a last DC 20 Strength check to escape, or is pulled into the other dimension with the wreath. Enchanted Mistletoe: The fool who steps beneath this holiday sprig is instantly paralyzed, unless he succeeds on a Will save DC 20. Paralysis lasts until the character dies, the mistletoe is removed, the magic of the mistletoe breaks down (1d7 weeks), or the character is kissed. Well, a mouth makes contact with the character. Being bit will do. While paralyzed, the character automatically fails Will saves. His AC is equal to his armor bonus only, discounting any shield. Ice Piercer: Init -4; Atk pierce +4 melee (1d4); AC 12; HD 1d4; MV 5’ or climb 5’; Act 1d20; SP camouflage, immune to cold and mind-affecting, double damage from heat and fire; SV Fort +4, Ref +0, Will +0; AL N.
This strange creature is made of ice, appearing like nothing more than a large icicle. It holds to its perch with a flexible “foot” made of slushy snow. Hidden among natural icicles, it surprises the unwary with a 5 in 6 chance, dropping down in an attempt to pierce creatures. Should it fail, it must make its slow way back up to ceiling or eaves, where it can drop again. No one knows why ice piercers form. No one knows why they attack – they certainly do not eat their victims! They usually melt away in the spring, and perhaps will not even form again in the same place when the weather turns cold again. Patrons are (usually) supernatural entities who are willing to aid a mortal being (especially a wizard or elf) in return for services rendered. The full write-up for a patron in the Dungeon Crawl Classics role-playing game officially consists of a table for invoke patron results, a table for spellburn, a table for patron taint, and three unique spells – one 1st level, one 2nd level, and one 3rd level. A god is a powerful supernatural being who grants powers to clerics, and can demand that the cleric perform (or refrain from performing) certain actions in order to retain this power. There is some overlap between gods and patrons. A god may be, but need not be, a patron. A patron may be, but need not be, a god. Non-deity patrons may include arch-liches, ghosts, faeries, ultra-powerful wizards, alien beings, and so on. If you read Appendix N literature, you will see ancient AIs, angel-like beings, demons, wizards, and more acting very much as patrons do in DCC. To the average peasant, though, there is little difference between a patron and a god. Both can exert enormous influence for or against the common folk. A demi-patron is a less powerful patron. This might be a creature that can offer spellburn, or who can be invoked, but who doesn’t offer spells. 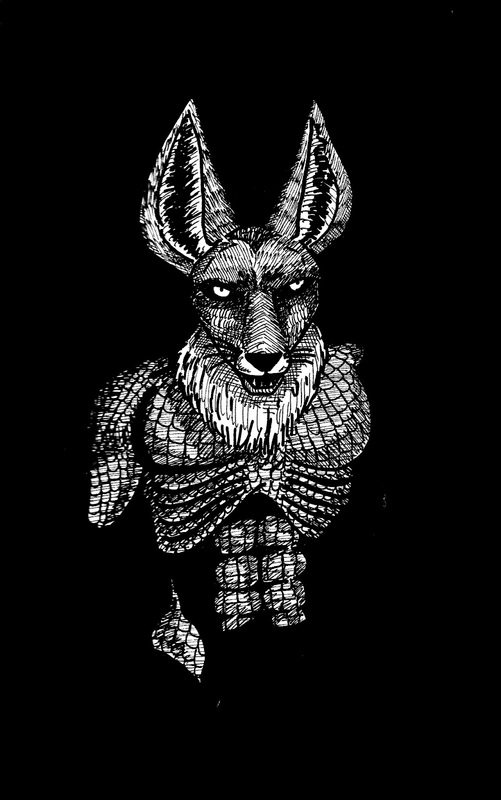 The idea was introduced in this author’s adventure, Silent Nightfall, but it is implicit in the structure of Appendix N fiction that such creatures must exist. Likewise, this author’s The Crimson Void offers a system for ranking deities and other supernatural powers that can be used to determine what happens when they come into conflict. When devising these tables, you can use published examples of patrons to give you a rough power gauge for appropriate effects. Remember, though, that you need to consider your patron as a whole. If a patron’s “patron taint” effects are particularly nasty, you might wish to give the patron a little extra oomph in terms of his invoke patron table. If your patron offers only the worst sorts of spellburn, you may wish to counteract that with another benefit. It was recently suggested to me that patron taint should be both permanent and bad for the PC obtaining it. I would like to take a moment to disagree with that. First off, not all of the patron taints in the core rules are permanent. The Three Fates, in particular, has patron taints that can be “resolved”, allowing the wizard bound to the Fates to get on with her life. I would argue that, if an event is both flavourful and meaningful within the context of the patron, it can serve as a patron taint. Anyone familiar with my work in Angels, Daemons, & Beings Between, or in the pages of several Purple Duck modules, will see what I mean. Secondly, I don’t agree that all patron taint should be bad. The player has no control over rolling a “1” on a spell check, and has very little control (apart from spending Luck) as to what patron taint is obtained once the die is cast. Again, depending upon the patron overall, a “good” patron taint can even out a less powerful invoke patron chart…or even other, nastier, patron taints. I would contend that the best purpose of patron taint is to strengthen the thematic bond between wizard and patron, and that you should consider any taint that does this well, even if it is not permanent, and even if it is good for the wizard. I would also suggest that the prospective judge consider the type of game he or she wishes to run. A hideous patron taint table can turn your PCs away from the Ghost-God of Cannibal Child-Eaters if you don’t want to repeatedly play through scenes where the point-of-view characters are engaged in heinous acts involving children, while still allowing for NPCs who do the same. Similarly, if you specifically want the PCs to consider a patron, you can build in some bennies to make that patron more attractive. 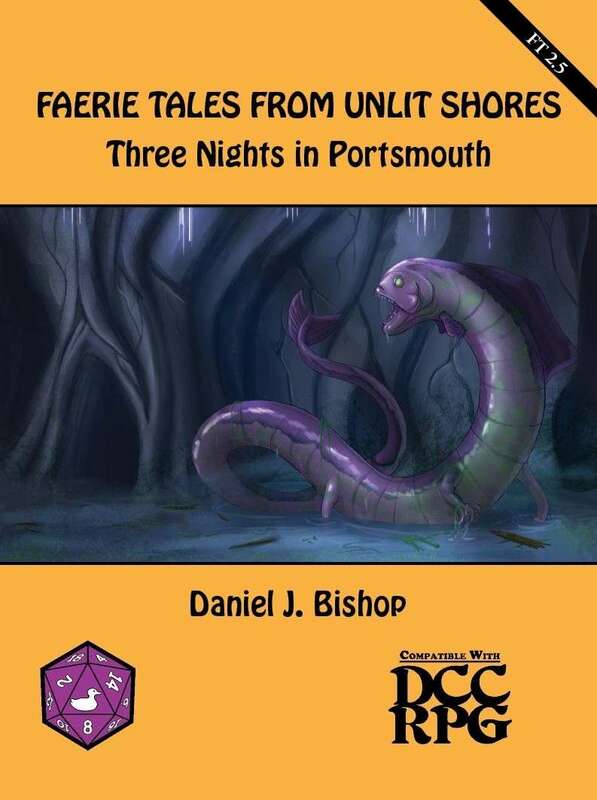 I did this with Doctor Chapman for the Faerie Tales From Unlit Shores series – Doctor Chapman has fewer than average taints, and one grants a bonus when dealing with fey. This is not an accident. The adventure series is, simply put, better the more Doctor Chapman is involved with the PCs…so I gave the players reason to seek involvement with Doctor Chapman. If you take a look at the spells in Dungeon Crawl Classics, you will see that many of them, depending upon the spell check result, contain the effects of a whole group of D&D-type spells. This is a good thing for the game as a whole, but it makes coming up with three unique spells for every patron rather difficult. I went a different route with Doctor Chapman, and also with The Black Goat. If you are determined to make other spells available, consider allowing a wizard to cast a cleric spell (I did this in The Crimson Void) or invest in some sources of new spells – Liber Arcanum, Tales of the Fallen Empire, and The Gongfarmer’s Almanac are good places to start. Another thing you might consider is converting materials from other systems. 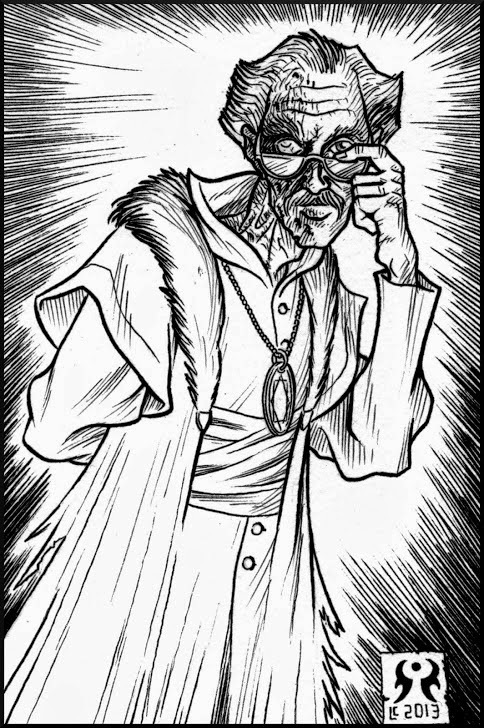 Some patrons may have more than three spells – Paul Wolfe has a patron like this in Angels, Daemons, & Beings Between. As always, you should consider what seems right for your patron first, and then try to figure out how to define it within the rules. If good, it makes the players more apt to try their luck the next time some equally foolish venture presents itself. It brings the unique nature of a patron directly and immediately to the table. It gives the bonded PC some unique trait that is the direct result of play, rather than of buying feats during chargen. For more fun, consider using a table of unique effects, so that if another PC jumps on the bandwagon, the patron might react in a different manner! I am considering maintaining a list of available patrons for DCC, and a list of patrons/patron-like beings in Appendix N fiction, but these would be separate posts if there is enough interest. Looking for a 0-level funnel adventure? Below is a list of all the funnels available for Dungeon Crawl Classics RPG. If I have missed anything, please let me know! I will update regularly. That's a whopping 44 funnels to date! * This is an adventure I wrote. ** This is an adventure I wrote part of. *** This adventure has notes for using with 0-level characters, but really should be used with characters who are more established. T This is a tournament funnel, or relates to the same. J There currently is, or has been, a free version of this adventure available.